NEW YORK – Barry Friedman will present a survey of photographs and sculptures by Wang Jin on view March 22 through April 22, 2007. The exhibition will cover Wang Jin's entire career, from his performance work in the early 1990s to his current sculptural objects. This seminal retrospective marks the first time that such an important collection of Wang Jin's work will be shown together. An opening reception will be held March 21, 5-8pm, at Barry Friedman Ltd., located at 32 E. 67th St.
Wang Jin is a Beijing-based artist, whose powerful conceptual work reflects both his own personal experiences and the transformations of Chinese culture. His poetic oeuvre reverberates with history as it encounters the contemporary world. Over the past decade, Wang Jin's work has been shown in important museum exhibitions in Asia, the United States, and Europe. "Wang Jin…is one of China's most wide-ranging artists," said Bernard Fibicher in his catalogue essay for Mahjong: Contemporary Art from the Sigg Collection, Kunstmuseum, Bern. "He is at home in any medium—sculpture, photography, object or performance; he plays with irony, but also operates with grandeur, he places himself at the center, but often looks for dialogue with the audience." 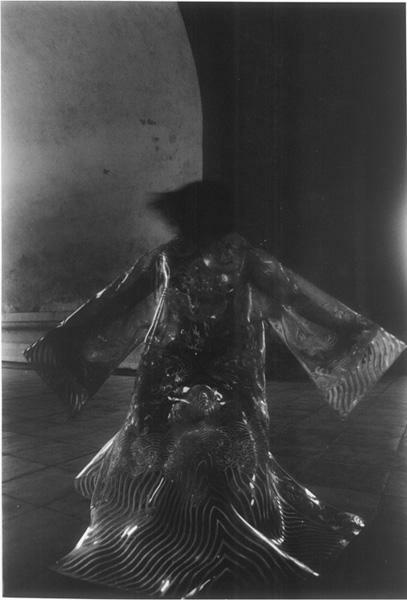 In 1993, Wang Jin began creating provocative performances outdoors, and documenting them in photographs that stand on their own as potent, mysterious images. On display will be photographs of the artist's most important performance works, including his celebrated 1996 Henan Ice Performance, in which he froze consumer objects in 600 blocks of ice that formed a 98' long wall. 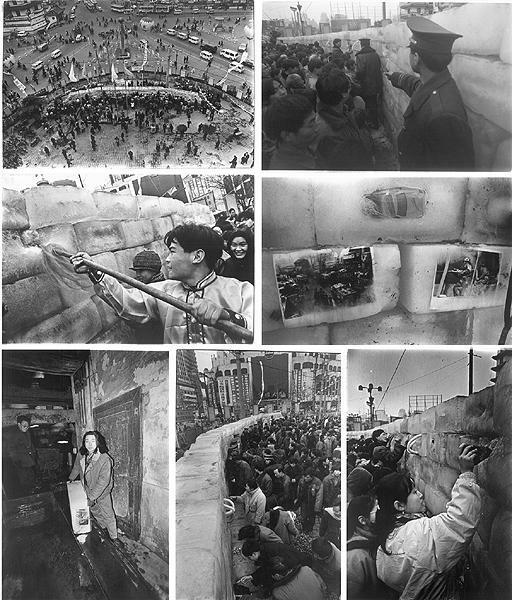 The work was eventually looted by onlookers, who destroyed the wall with pick hammers. denied a visa to the U.S. to join his wife who had moved here, leading to their divorce. covers the tracks of the new rail link between Beijing and Hong Kong, suggests the then- imminent takeover of Hong Kong by China, the color of the Communist party, and the price in blood that history exacts. History, modernity, and the coming of a market economy are confronted in a series of banknotes in various international currencies that the artist painted on original Qing Dynasty tiles, approximately 2' square, from the Forbidden City. Wang Jin approached the issue of money's pervasive effects in the 1995 performance Quick Stir-Frying Renminbi, in which he cooked a kilo of domestic coins at the Donganmen night market, Beijing. Parallel concerns are reflected in Wang Jin's, current sculptural series, The Chinese Dream. 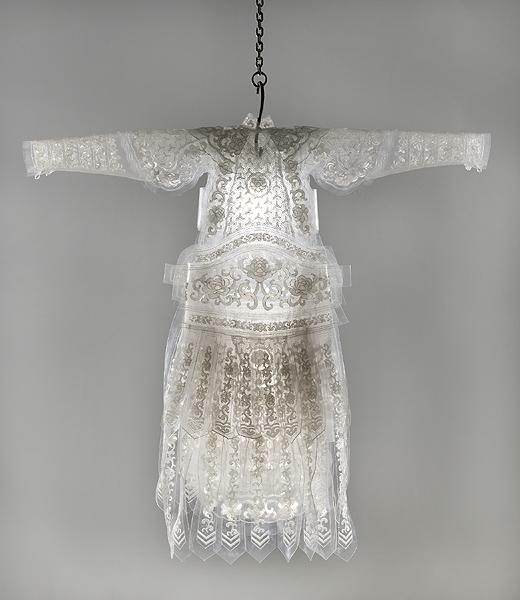 On exhibit is one of these elegant Beijing Opera robes, woven from clear polyvinyl chloride (PVC). In her catalogue essay for Xianfeng! 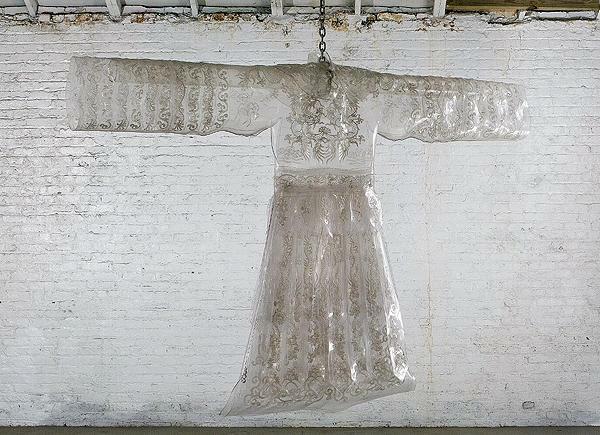 Chinese Avant Garde Sculpture, Julia Colman describes the artist's interest in using PVC: "...he feels plastic can represent perfectly contemporary society. It is a consumer product and omnipresent in developing countries. The artist calls it high tech rubbish." Reproducing the iconic robe in a modern material describes "the flow of tradition through contemporary life." Wang Jin was born in1962 in Datong, China. He studied traditional figurative painting at the Zhejiang Academy of Fine Arts, graduating in 1987. He taught fine arts at the Beijing Institute of Fashion Design until 1992, when he began his work as an independent artist. 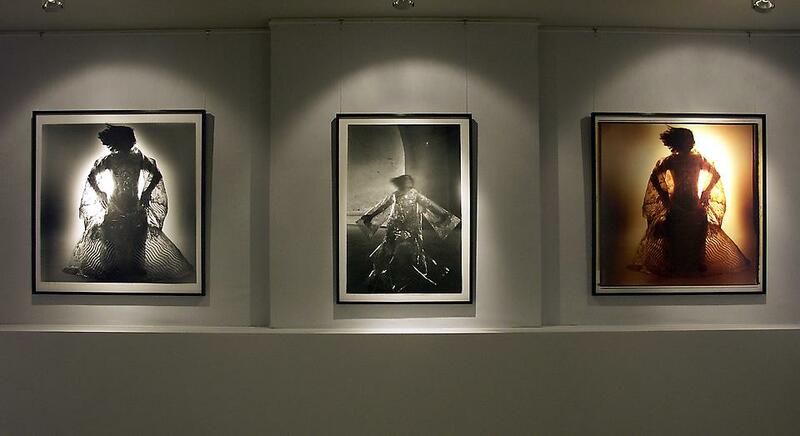 Wang Jin created performances and showed his photographs and sculptures extensively in China. Since his inclusion in the 1999 Venice Biennale, Wang Jin's work has been increasingly present in international exhibitions. He was introduced to New York audiences in 2004, in Between Past and Future: New Photography and Video from China, which originated at the International Center of Photography, and traveled to five venues in the U.S. and abroad. 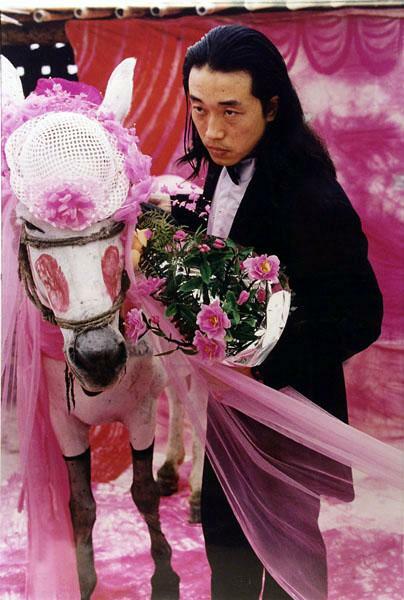 Wang Jin participated in Inside Out: New Chinese Art, San Francisco Museum of Modern Art and Asia Society, New York, 1998-99, and the First Guangzhou Triennial, 2002. In 2005, Wang Jin's work was seen in The Wall: Reshaping Contemporary Chinese Art, The Albright Knox Art Gallery, University of Buffalo Art Galleries, and the Millennium Art Museum, Beijing, Xianfeng! Chinese Avant Garde Sculpture, Museum Beelden aan Zee, The Hague, and Mahjong: Contemporary Chinese Art from the Sigg Collection, Kunstmuseum, Bern. 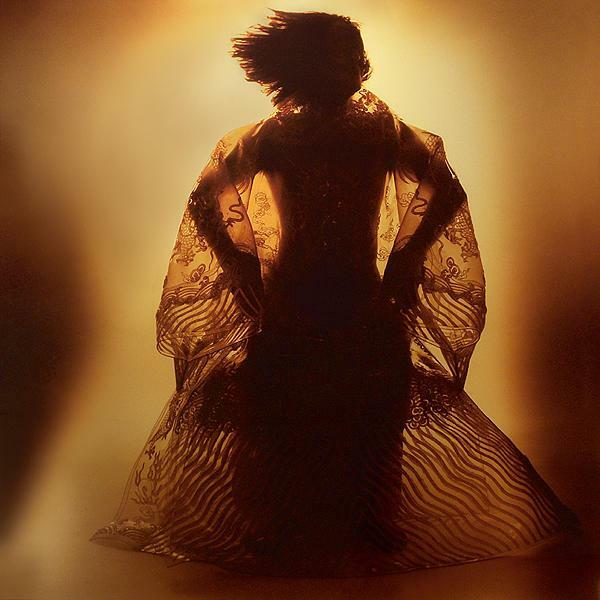 Barry Friedman has worked with Wang Jin for several years and will feature his work at the International Asian Art Fair, March 23-28, 2007, Seventh Regiment Armory, Park Avenue and 67th Street, New York.